Project Details: This gorgeous farm with breathtaking views belongs to Clair Allison of Clairmont Show Stables. 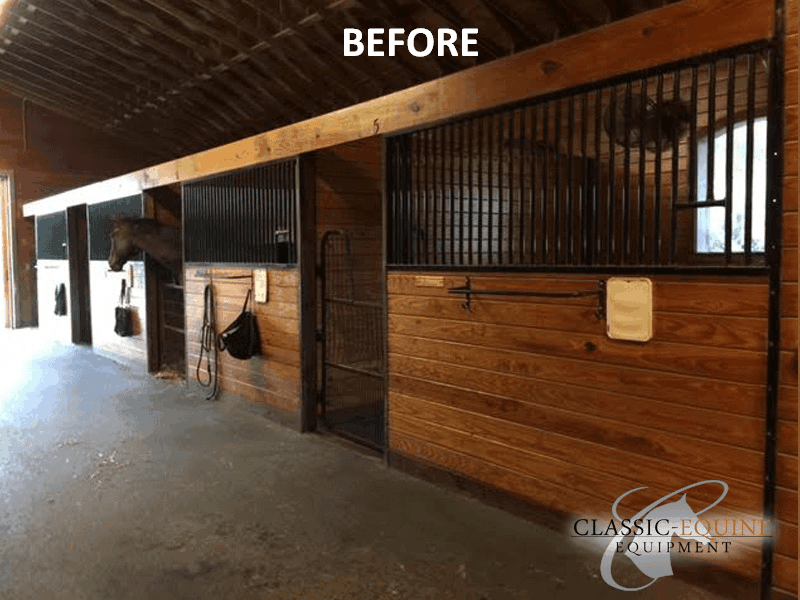 Classic Equine Equipment had the privilege of being a part of this barn project from start to finish. 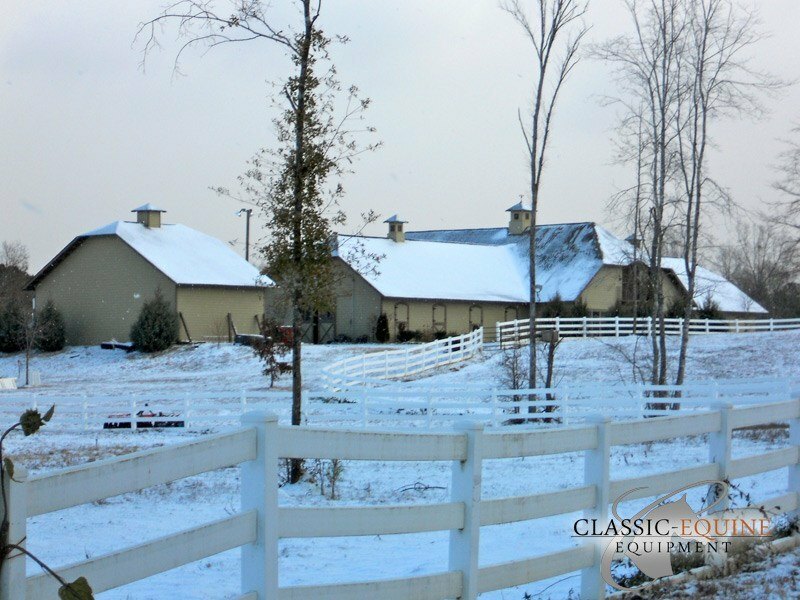 Clairmont is a full service Hunter Jumper show stable featuring 2 barns housing 26 horses. 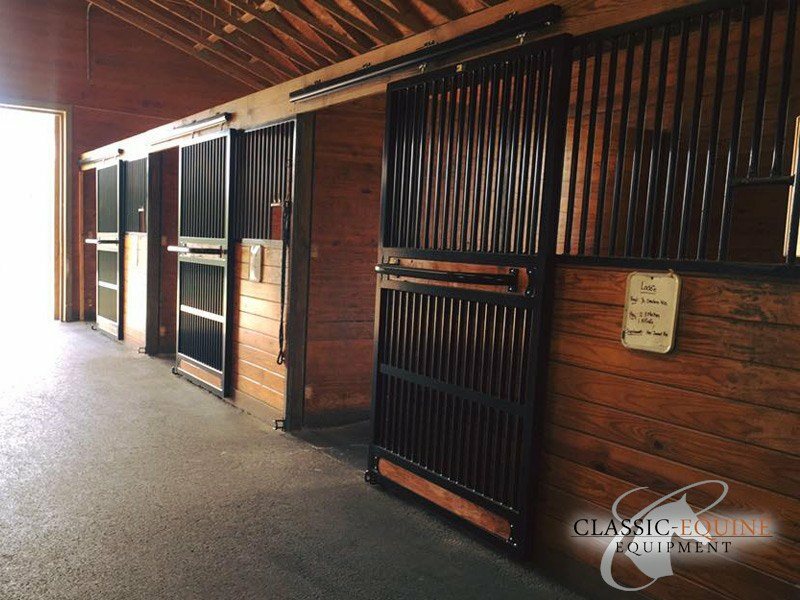 Product Specs: Spending the majority of her time in the barn, Clair understood the need for quality stall fronts. 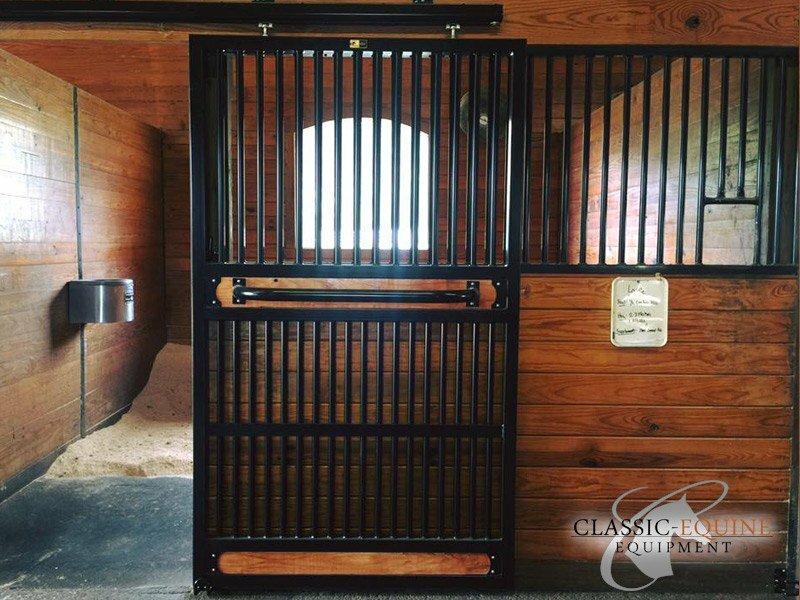 Utilizing the existing posts and previously installed Classic Equine Grillwork, the Integrity stall system was the best choice. 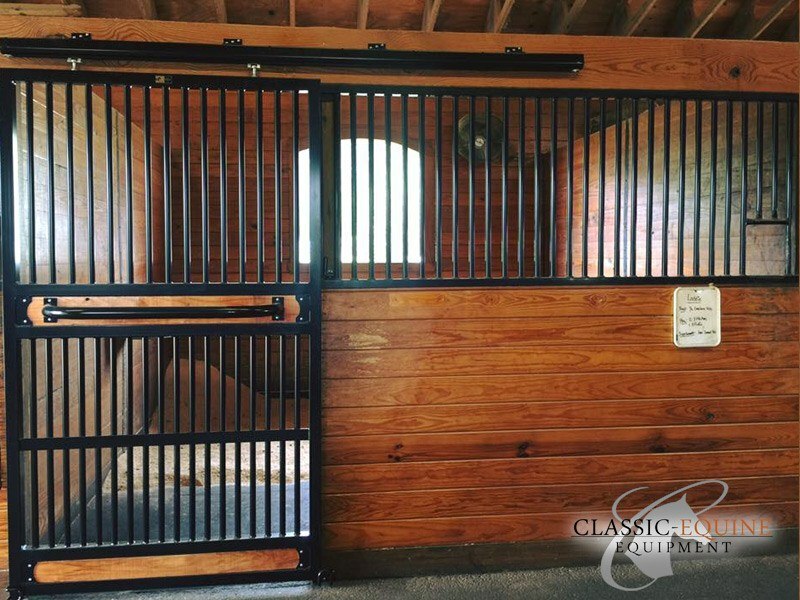 The full grill stall doors were selected to allow for maximum air flow in the stalls and ultimately the comfort level of the horse. The shavings guard board helps to keep the bedding out of the aisleway, maintaining a cleaner look. Clair chose to add the nameplate board as well to allow for Classic's Stout Blanket Rail to be installed. 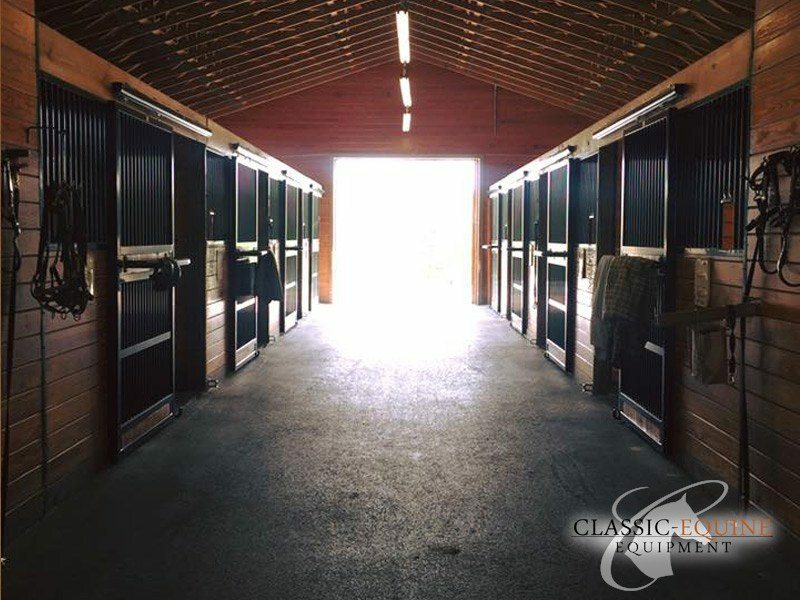 Classic Equine is very proud to have our equipment showcased in such a beautiful barn. Thanks to Clair Allison for allowing us to be a part of this awesome project! From the Customer: "We completed the door installation project and wow do they look good. I could not be more happy with the finished product and am elated to have the barn truly finished!" Check out more from Clairmont Show Stables!